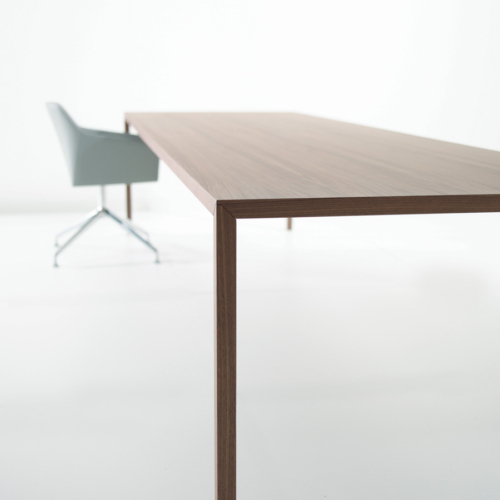 Span is the only conference table with the outward appearance of wood and the inward strength and magnetic properties of steel. While its surface appears to be one solid piece of wood, it is actually a combination of aluminum, steel, and sheet metal that has been laminated together and clad in a wood veneer. This enables Span to achieve lengths of up to 144 inches with just four slim legs.